Queue or Buy the Pattern / Join the Ravelry Group / Does your library have The Beekeeper’s Apprentice? Great news, everyone! This April, our popular Read Along series is back for the spring! :) We’ve knit drop stitch shawls and read teen fiction set in Alaska, we’ve knit uniquely ribbed socks and devoured a bestseller, and last fall, we tackled a lace and cable-covered mystery infinity scarf and tackled magic realism. Every fall and spring for the last couple years we’ve knit something different, so this spring, it’s finally time! By popular demand, the first Read Along Crochet Along will take place April 1-30. 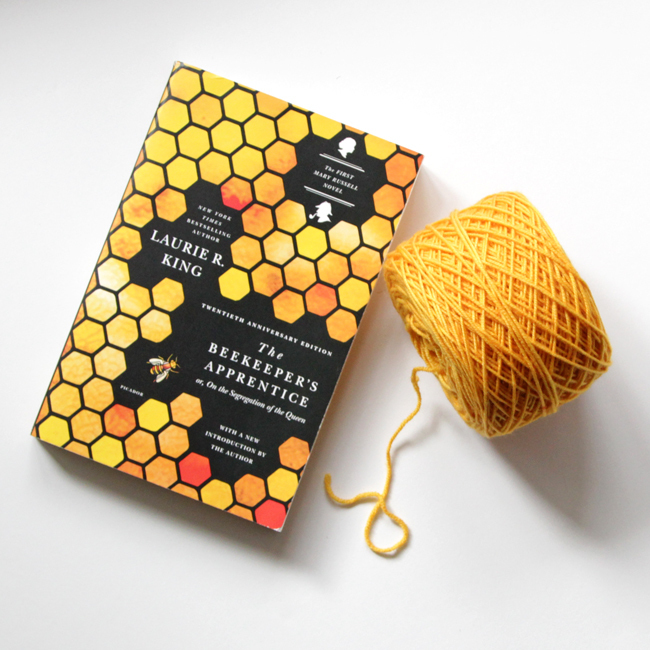 We’re going to read/listen to The Beekeeper’s Apprentice by Laurie R. King, discuss it on Ravelry, and crochet the Worker Bee Bag, which was inspired by the book, while we’re at it. As usual, there’s a bunch of fun stuff in store for the Read Along, so check out the rest of this post for ALL the details, including our schedule, giveaway prizes, and how to get your hands on Worker Bee Bag pattern at a great discount. Don’t forget to read all the way to the bottom of this post to enter to win our pre-RALCAL prize! Are you excited? Throughout the Read Along Crochet Along, we’ll discuss The Beekeeper’s Apprentice in the Hands Occupied Ravelry group and in person (more on that below), and just like most of my knit alongs, there will also be video tutorials to help you along the way! This crochet along is NOT a mystery, and we’re sticking to just the month of April for our timeframe, so this one should be pretty chill, time commitment-wise. By the end of April, you’ll have a crochet bag that’s ideal for the season, plus, if you want to tackle the free bonus pattern included with the bag, a hexagonally shaped Clutch designed to compliment the Bag. So you already know to get on your library’s hold list for a copy of The Beekeeper’s Apprentice in your preferred format, whether that’s an audiobook, traditional book, or ebook. For the making part of the equation, this supply list gives you a little bit of an idea of what to expect from the Read Along Crochet Along, and gives you the chance to get all prepared ahead of our April 1 kickoff! The Worker Bee Bag, a fully lined bag (yes, it’s part of the pattern AND includes a pocket!) that uses filet crochet, baubles, and elongated stitches to create a fun, textural piece perfect for spring! Top bag opening measures 9” (23 cm) in circumference, bag height measures 14” (35.5 cm), and bag base is 11.5″ at its widest point. Measurements taken after wet blocking to size and don’t include handles. After wet blocking, approx. 16 sts and 9 rows = 4” [10 cm] in double crochet stitch with US G-6 (4mm) hook. Gauge is not critical for success for this project as it’s not a fitted garment. You may use the Jul handles I designed this bag with, or you may swap them out for whatever handles you prefer. This pattern was designed with some flexibility in mind – when you finish crocheting the body of the bag, 30-35g of yarn should remain if your gauge is correct. 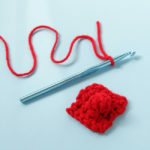 That remaining yarn may be used to incorporate crocheted handles if you wish. 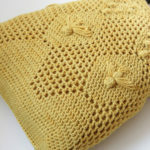 However, included in the pattern is a bonus Worker Bee Clutch pattern designed to match the Worker Bee Bag. It requires approx. 30-35g yarn to make (see what I did there?). 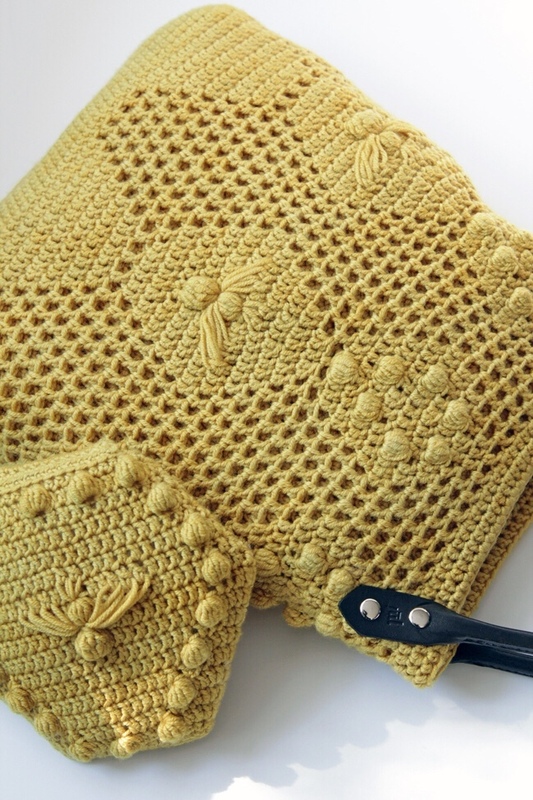 If you use handles NOT requiring the last of your yarn, you can make this bonus clutch with the remainder. Pattern Preorders are now open! You can preorder Worker Bee Bag pattern on Ravelry now! 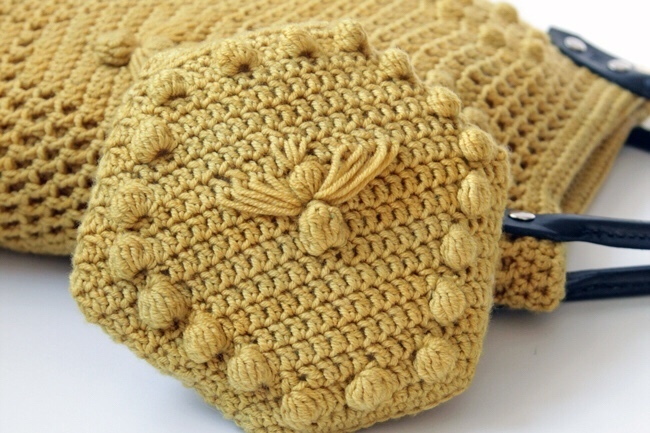 Preorder the pattern for 40% OFF using the code BUSYBEES. The price will slowly climb up bit by bit until the first day of the RALCAL, so now’s the time to get on it! The crew at one of our Read Along In Real Life nights last fall. 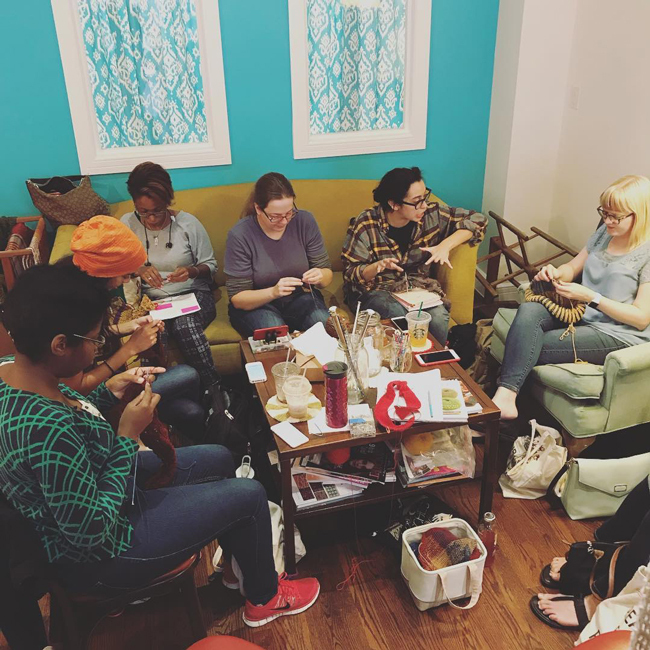 Since we now have Read Alongs for both knit and crochet, we should switch up what we call the in-person part of this event (it doesn’t make sense to call it the RALKALIRL anymore). Just like we did last fall, we’ll have an in-person meet up every Friday night from 4-8 p.m. at Chicago’s Firefly Fiber Arts. (Some day I’ll be able to afford to do more events outside Chicago, I promise! 😇) The Read Along In Real Life will take the place of the monthly Hands Occupied Meet Up, which means we get FOUR meet ups next month! A post shared by Firefly Fiber Arts Studio (@fireflyfiberarts) on Nov 17, 2017 at 6:21pm PST Two giveaways! All right, all right, I know you’re curious! The prizes are once again going to be AWESOME for this Read Along. Love & Leche has once again generously donated a lotion bar (a personal favorite of mine). Jul will be providing a set of their beautiful bag handles, and Why Knot Fibers has donated a skein of Spunky yarn. Finally, and I’m so excited about this one, Darn Good Yarn has donated one of their Handmade Wooden Yarn Bowls. My husband got me one for Christmas this year, and I loooove it. The entry period for the RALCAL prizes will be April 1-30, and you must participate in the RALCAL to be eligible to enter. 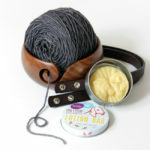 PS: If you can’t wait for your chance to win the giveaway, Darn Good Yarn has offered 50% off one of their wooden yarn bowls using the code HANDSOCCUPIED50. PPS: If you want to get a pair of the beautiful Jul handles I used in designing this bag, you can get them at 10% off using the code VERVE. To help us all get excited about April’s Read Along Crochet Along, I want to do a little giveaway right now! Up for grabs is a skein of Why Knot Fibers’ Spunky yarn, the yarn used to design the patterns for the RALCAL. If you’re on mobile, click the button above to enter. Today (3/8): pattern preorders open. The pattern goes live 4/1, so don’t miss out! Use coupon code VERVE to get 10% off a pair of Jul Forager Screw-in Handles to use with your Worker Bee Bag! The pre-RALCAL giveaway runs 3/8 through 12:01 a.m. on 3/28. The winner will be announced in the 3/30 Picks of the Week post. The RALCAL runs during the month of April. We’ll kick off on Sunday, April 1 and end on Monday, April 30. The RALCAL giveaway will run April 1-30. 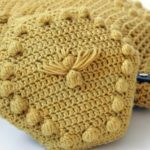 To give everybody a chance to earn maximum entries (for casting on, participating on Ravelry, etc. ), prizes will be announced Wednesday, 5/2. This is NOT a mystery crochet along, so you’ll receive the entire bag and bonus pattern when it goes live on Sunday, April 1 if you pre-order it. Read Along In Real Life meetups will be at Chicago’s Firefly Fiber Arts on Fridays from 4-8 p.m. during the crochet along: 4/6, 4/13, 4/20 & 4/27. We’ll wrap up the RAIRL at our 4/27 meet up and draw the in-person prize winner. #RALCAL, and the pattern hashtag is #workerbeebag. If anyone has any questions, clarifications, etc., please let me know in the comments. The Read Alongs have become a favorite series for all of us, and I want to make sure everyone who wants to hop on board has the chance to! Why Knot Fibers provided yarn support for this design & giveaway. 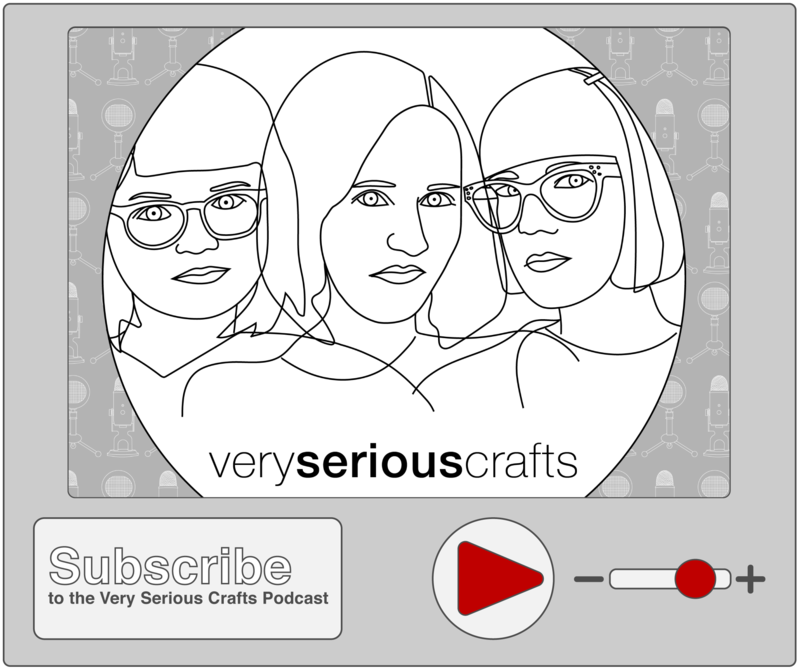 Love+Leche, Jul, Darn Good Yarn and Firefly Fiber Arts are also providing giveaway support for RALCAL. What an amazing book! I couldn’t wait for the RACAL and picked up the book from the library. I’m now on my second book by Laurie King. You have great taste in reading along with awesome fiber projects!